Want to learn about your family history but don't know where to begin? Come to the St. 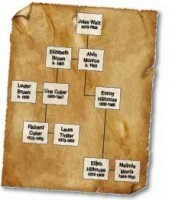 Cloud Public Library on Saturday, Sept. 19 from 1:30 to 2:30 p.m. for a Genealogy Basics class. This beginner level class is for you. Learn how to use free library and Internet resources to search your family tree. For ages 16 and older. Limit 10.